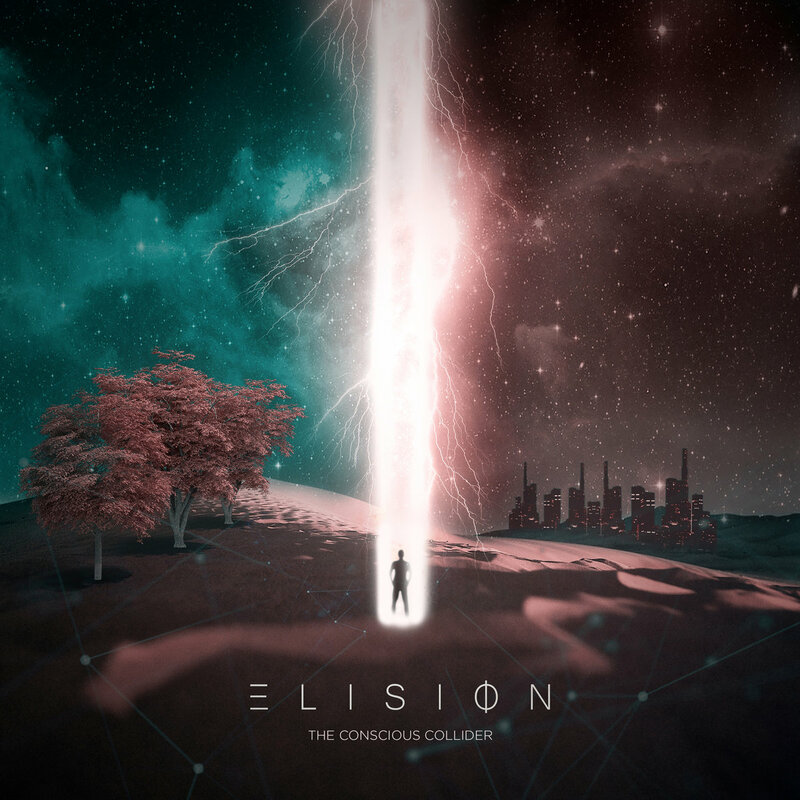 Sydney-based progressive metalcore five-piece Elision debuted last month with the release of their debut EP ‘The Conscious Collider,’ which sees youngsters exploring different moods both through their music and lyrics. 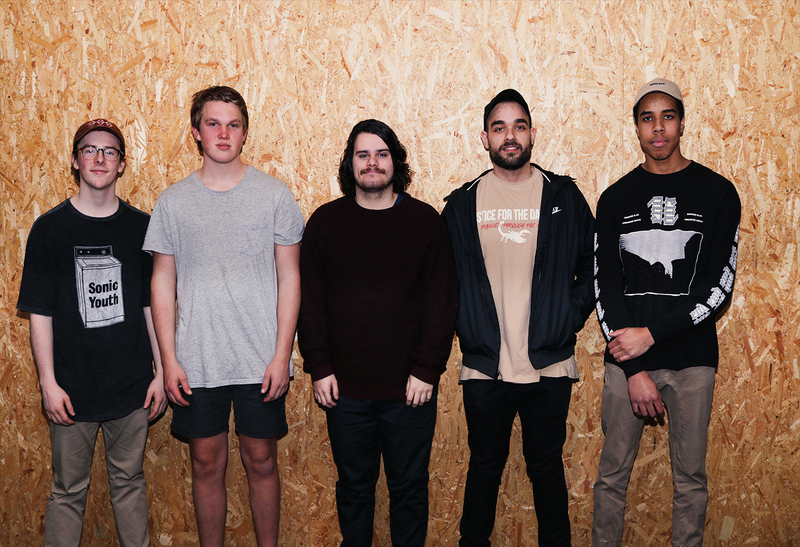 Guitarist Elliot Koroneos introduces us to the world of Elision giving us more information about the EP, band’s goals, and more. Define the mission of Elision. Elision’s mission is one where we would like to give something to people that they can connect with in the form of music. As we express ourselves, we hope that listeners can interpret our music in a way they are comfortable with and can relate to. Tell me about the creative process that informed your debut EP The Conscious Collider and the themes it captures. The Conscious Collider was our first concentrated attempt at writing an EP. We had a lot of songs written at the time and we picked the songs we thought sounded the most interesting and unique to us. The idea for the EP was to write songs that sounded different from each other, and in turn, we came out with seven tracks that have lots of fun riffs and crushing breakdowns with shining cleans. We wanted it heavy and melodic. The main themes that revolve around The Conscious Collider relate to individual identity, mental instability and everything from tragedy to pure joy. The different moods that the songs deliver help with the conveyance of the themes in the lyrics. What is the message you are trying to give with The Conscious Collider? The lyrical content behind The Conscious Collider focuses on making decisions in life that are based on what you, as an individual, want and not what other people want you to do. There is a struggle throughout the EP and a prevalent feeling of not knowing what outcomes your decisions will lead to, however, as you progress through the songs, the uncertainty turns into epiphany and the struggling individual that the EP revolves around begins to realise that it is the decisions of their own which will bring them true satisfaction. The guitarists in the band are very familiar with digital audio workstations e.g. Logic Pro, Pro Tools so we would individually practice and any songwriting ideas that we created would get recorded as working demos. We’d share the ideas around to each other and eventually those ideas would combine to create full songs. We also had our producer, Jacob Wilkes, help us in the studio by giving us extra musical ideas and helped push us to be better than what we were in terms of songwriting. I wouldn’t say we spend a significant amount of time making sure the dynamic flow is absolutely perfect, and I think that’s mostly because we work so well as songwriters and that’s reflected through the songs as they maintain a level of consistency that keeps listeners intrigued. The ideas are always flowing when we write and those ideas aid the dynamic flow naturally. We recorded the demos for all seven tracks well before we went in the studio to record. Our producer, Jacob Wilkes, had us working with him for three weeks in his studio and his contribution to The Conscious Collider is a testament to his unbelievable talent in songwriting and producing. As much as we were recording, we were also being taught so many lessons throughout the process that not only helped us with our technique and recording abilities, but also our theoretical knowledge. During the recording of all instruments, Jacob’s advice and ideas lead the songs to be better than what they were in the demos. We all made sure we were more than prepared to record our respective parts which kept the entire process easy flowing and concise. How long The Conscious Collider was in the making? The Conscious Collider was in the making for about one and a half years – almost two years. We had lots of songs written and because the ideas wouldn’t stop flowing we kept writing more songs after what we already thought was an EP ready to record. Due to the selection of songs we had, we were basically spoilt for choice when it came to deciding which songs we wanted to keep on the record. The main artists that influenced us on this release would definitely have to be Northlane, Polaris and Architects. They’re only some of our favourite bands and their level of musicianship and high calibre material challenged us when writing in so many positive ways that have helped us become better musicians. Technology is awesome for music. Without technology, I definitely wouldn’t have heard of most of the bands I listen to today. Social media and streaming sites have enabled listeners from all over the world to get in touch with not just our music, but a lot of other bands’ music. If we are able to share music with people outside of where we are from, the better the opportunities we are all given to play in different parts of the world too. There are so many amazing artists that exist outside of where we are from and technology has aided that discovery. I hope that our music can help people with whatever they are experiencing in their life. As much as we enjoy writing heavy songs and tight riffs, music has helped us in a way where we can connect with the music and the lyrics and we want our music to do the same for others. We have already started working on our next release and hope to play as many shows as we can so we can spread The Conscious Collider everywhere! The Conscious Collider is available from Bandcamp. Follow Elision on Facebook and Instagram.